This was the season opener for both teams. Kentucky leads the series 3-1. This was the first time the teams had played in Hattiesburg. Kentucky will return to action Sat. Sept. 9 with the home opener vs. Eastern Kentucky. Game time is noon and it will be televised on the SEC Network and broadcast on the UK Sports Radio Network. This was the 600th win in Kentucky football history. The win moved Kentucky to an 8-4 record over the last 12 games, including the third road win in that stretch (also last season at Missouri and Louisville). 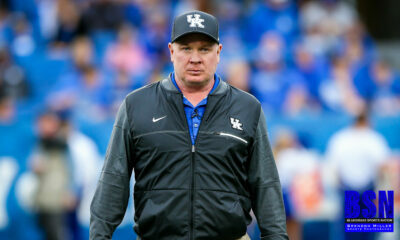 UK is now 12-6 in non-conference games under Coach Mark Stoops. UK is 16-1 under Stoops when leading after three quarters. 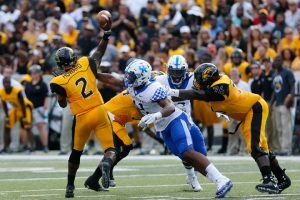 UK limited Southern Miss to 55 net rushing yards. It is the fewest since holding Vanderbilt to 54 rushing yards in 2014. It was the fewest rushing yards UK had allowed in a season opener since keeping Louisville to 53 in 2008. 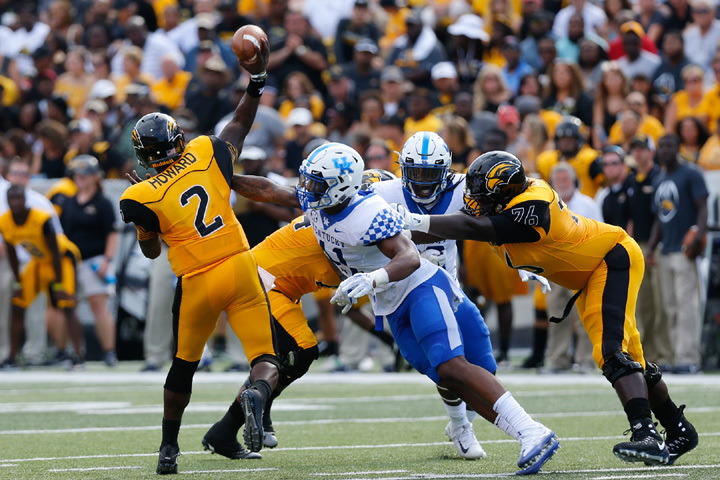 UK limited Southern Miss to 1.4 yards per rushing attempt, best since Samford averaged -0.1 yards per rush in 2012. UK had several excellent facets in special teams. Matt Panton averaged 42 yards per punt, including five inside the 20-yard line, two of which were downed at the one-yard line. Austin MacGinnis’ placement of kickoffs, and the subsequent coverage, was outstanding. Between the kicking and tenacious kick coverage, USM’s average starting yard line for the game was its own 17-yard line. MacGinnis made his only field goal attempt and all three extra points. Sihiem King’s 46-yard kickoff return (also drawing a desperation 15-yard facemask penalty) set up a touchdown drive that only needed to go 37 yards. UK has had an offensive play of at least 50 yards in each of the five season openers under Coach Mark Stoops. UK’s game captains were OG Nick Haynes, QB Stephen Johnson, LB Courtney Love and S Mike Edwards. Three players made their first starts at Kentucky, WR Kayaune Ross, DE T.J. Carter and S Darius West. Stephen Johnson completed 11 of 20 passes for 176 yards and one touchdown. UK is now 8-4 with Johnson as the starter (6-4) or QB for the majority of the game (2-0). 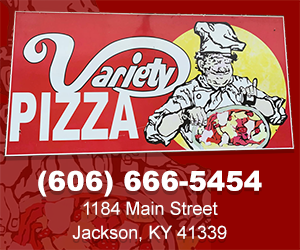 Johnson also scrambled for an 8-yard touchdown in the second quarter to open the scoring. Johnson is the first UK quarterback with a rushing touchdown and passing touchdown in a road game since Jalen Whitlow at South Carolina in 2013. Benny Snell led the rushing attack with 20 carries for 67 yards. He has 1,158 career rushing yards, advancing two spots to 30th place on the career rushing list. C.J. Conrad caught three passes for 97 yards. His 23-yard touchdown catch in the second quarter is the sixth TD of his career. Late in the third quarter, Darius West made a jolting tackle that caused a fumble, which Denzil Ware scooped and scored from 20 yards out. It is Ware’s first collegiate touchdown but his second collegiate score. He also had a fumble return for a 2-point defensive PAT at South Carolina in 2015. Ware also recovered a fumble in the first quarter that set up UK’s first touchdown. Ware also caused a fumble. Ware finished with three tackles, featuring 1.5 for loss (-11 yards) and a 10-yard quarterback sack. Courtney Love tied his career high with nine tackles, one for loss, and also had a fumble recovery. In addition to causing a fumble, Darius West made six tackles, including one for loss. Josh Allen finished with five tackles, three of which were for loss (-12 yards), including a seven-yard QB sack. Allen also caused a fumble and had a quarterback hurry. Graduate transfer punter Matt Panton had a good first game for the Wildcats. 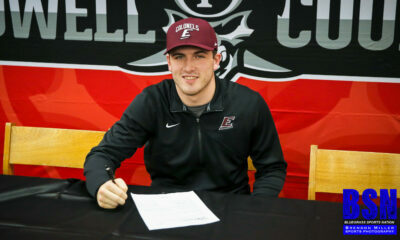 He punted nine times for a 42-yard average. He had five punts inside the 20-yard line, including two punts downed at the one-yard line. Austin MacGinnis made a 41-yard field goal in the third quarter. It extended his streak of eight consecutive field goals dating back to last season. He also made all three of his extra points and had excellent placement of his kickoffs. Chris Westry started his team-leading 26th consecutive game. True freshmen seeing their first collegiate action included DE Josh Paschal, NG Quinton Bohanna, WR Josh Ali, WR Isaiah Epps, WR Clevan Thomas and DB Cedric Dort. Thomas and Epps made their first collegiate pass receptions.